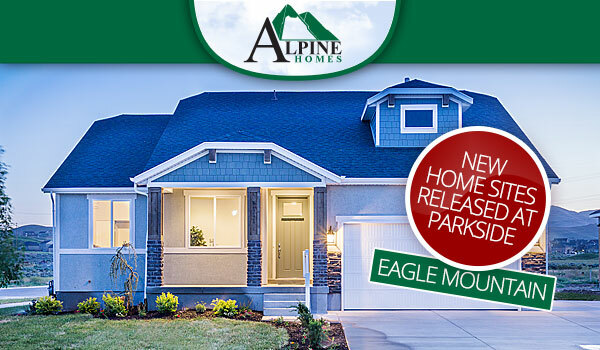 Large home sites released at Parkside in Eagle Mountain! Four new, large home sites have been released in Eagle Mountain at Parkside with sizes ranging from.138 to .217 acres. These sites will sell quickly due to their size, so be sure to call Aneleise today or visit! Parkside is open Monday through Saturday from 12 to 6pm.